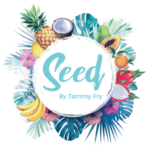 After 4 sold-out events in South Africa, the SEED Workshop, hosted by Tammy Fry Kelly is coming to Australia! We kick off the first event in Noosa on the 27th of May. Event details here: https://www.facebook.com/events/1269526809846990/ Get your Early Bird ticket today: https://events.ticketbooth.com.au/event/seed-workshop-in-noosa Bookings online only and tickets limited!